We looked at the top 1 Jogging Strollers and dug through the reviews from 11 of the most popular review sites including BestReviews, New York Times Wirecutter, The Z8, Helpful Habit, At Home Dad, Parents Need To Know, Top Reveal, Noble Rate, Babyers, Baby Know How, My Babies Planet and more. Through this analysis, we've determined the best Jogging Stroller you should buy. 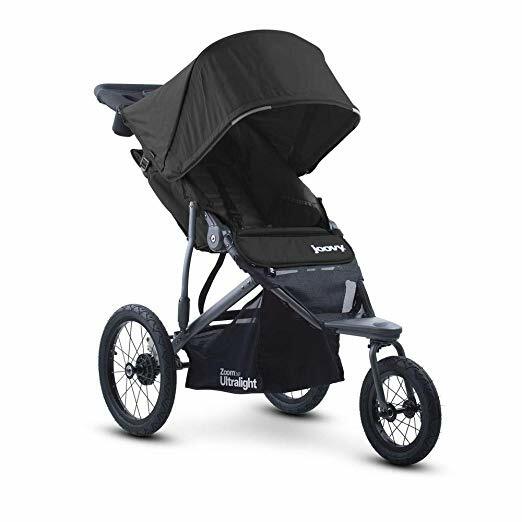 In our analysis of 94 expert reviews, the Joovy Joovy Zoom 360 Ultralight Jogging Stroller placed 4th when we looked at the top 10 products in the category. For the full ranking, see below. The strong and comfortable seat has sections for any kind of take-alongs and is durable for a kid up to 75 pounds. Joovy has designed this jogging stroller with suspension intended to absorb shock from rough terrain, making for a smooth ride. It comes with a large canopy as well to shield your kids from the elements and the sun. 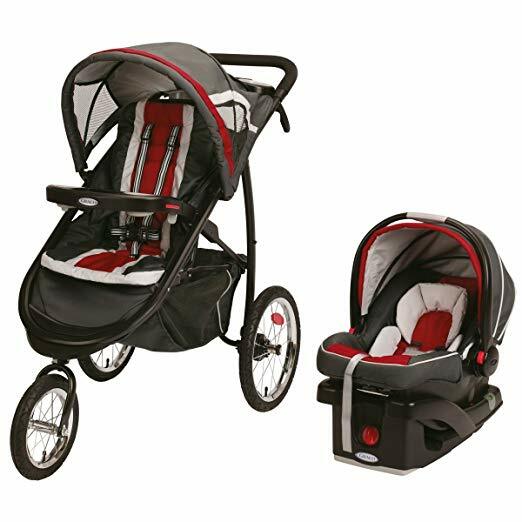 With built in storage spaces and a parent organizer, this has enough room to take everything you need for extended walks or runs. The canopy is large with a peekaboo window, there’s a console with two cup holders and a storage pouch, and there are pockets next to the child seat as well. There are adapters to use the Joovy with a number of popular car seats. The Joovy Zoom stroller has a front swivel wheel that you can lock and unlock for either maneuverability or stability purposes. Its rear wheels have a quick release feature, too! This stroller weighs only 25.7-pounds and has a straight rear axle, so the parent can run a straight line without being pulled to the side by the stroller. It also has 16-inch rear wheels and 12.5-inch swivel front wheels that can be locked into position for jogging. 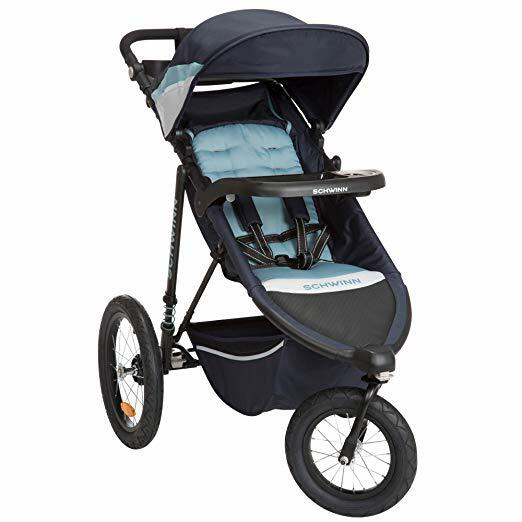 Since this stroller is also equipped with a suspension system, it’s capable of preventing bumps and shocks from disturbing the baby during an afternoon jog. The shock absorbers on the rear wheel and the air filled tires give a smooth ride in all terrains- whether gravel or asphalt. 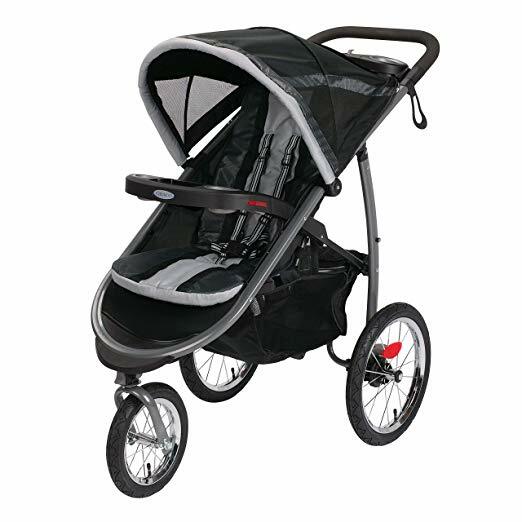 It has a high seat that gives kids great visibility while out on your run. It also features a multi-position seat recline for on-the-go naps. 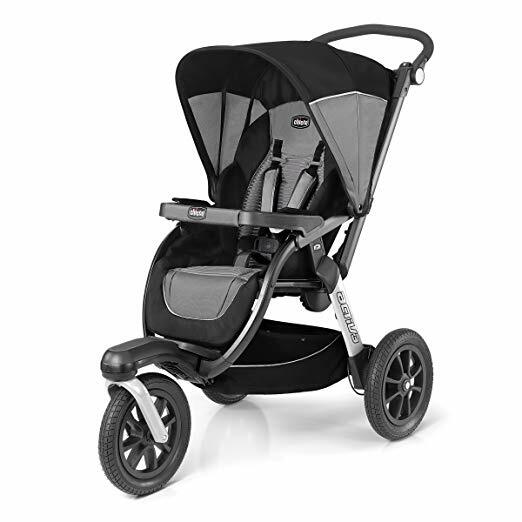 To help make your child’s ride as comfortable as possible, the Zoom comes with an extra wide seat that sits high to give your child greater visibility of the world around them when they join you on a run or stroll through the park. The largest stroller on our list, which actually may be a good thing if you have taller children, but is a bit difficult to travel with. Some owners were also a little disappointed with their experience trying to fold and unfold this stroller. One problem we noticed is that the folded stroller does not have a strap or handle to pick it up so carrying any real distance will be a hassle.